Welcome to the website of author Joe Stein. Joe has written four crime/thriller books featuring the ex-boxer turned bodyguard Garron and also had several short stories published, some of which you can find re-printed here. 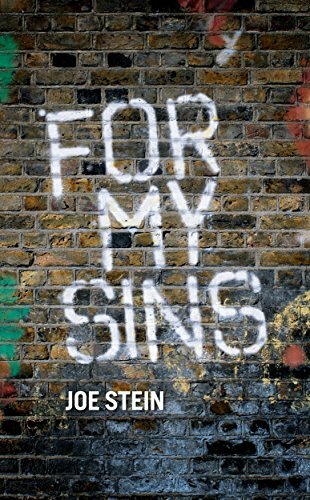 Joe was long-listed for the Crime Writers’ Association 2016 Dagger in the Library award. This is an award for a body of work over a period of time. or from Amazon, The Book Depository and usual outlets. 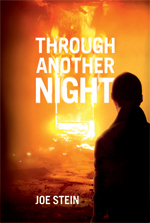 ‘Through Another Night’ was shortlisted for the final of The People’s Book Prize 2014 / 2015, an award which works purely on public voting. 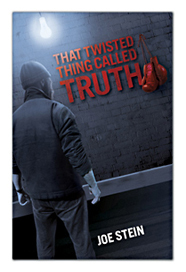 The third Garron book, ‘That Twisted Thing Called Truth’ is still available from all good bookshops and websites. The Thrilling Detective Website is THE reference point for all PI fiction, TV and Film. Joe has written several stories across different genres. Most of these have been published in magazines, for example, Thriller UK Magazine, or in anthologies such as the Bluechrome 2003 Anthology. From time to time short stories will be posted here and any feedback is welcomed. www.joesteinauthor.co.uk is a contact point for Joe and an introduction to his books and short stories. There will usually be an extract from one of the books and a short story posted on the site at any one time. Any signings/interviews or appearances at open groups will also be listed.